When it comes to keeping track of time, you can rely on the trusted NT75N electronic time recorder that we supply. With our help of the machine, you can monitor the attendance of your employees to make sure that they are arriving and leaving on time. 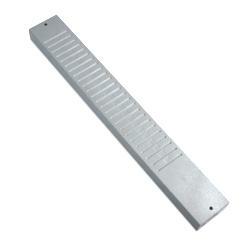 The NT75N electronic clocking in machine accurately measures time and is extremely efficient. 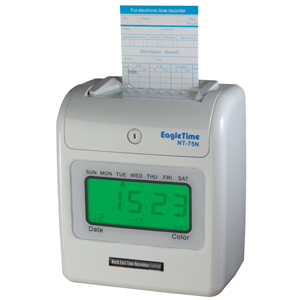 The electronic clocking in machine has a printing option that highlights which employees are late by printing in red and which are finishing early. 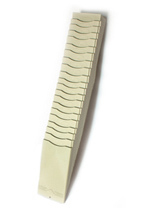 At UK Time Solutions, we make sure that our clocking in systems offer a flexible solution for a wide range of commercial needs and requirements, you needn’t worry about the NT75N suiting your needs, with over 1200 units sold in the UK and its reliability recorded you will have peace of mind. The NT75N electronic clocking in machines are a practical addition to help your business prosper and ensure that your employees are accurately paid in relation to the hours that they work. These machines are easy to use and program, they even have an internal speaker to signal break times etc, so why not choose the NT75N today? Large digital display for easy viewing and setting. Quartz crystal accuracy for timekeeping and perpetual calendar to assure correct adjustment at month end. Two colour printing to highlight late clockings and overtime. Internal lithium battery to guarantee data memory reserved for 3 years in case of power interruptions. Standard IN/OUT 6 column printing. Selectable Day End Time to cater for night shifts. Automatic card location and programmable IN/OUT column changes. Auto-detecting right side of time card. Programming of monthly or weekly pay ending can be changed as required. Music melody or external bell connection to signal break times etc. Each day can be programmed independently within the week. 24 settings of colour change/music chime/column change to give maximum flexibility for various work schedules. 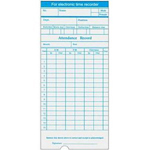 * Price includes 200 time cards and a 25 POCKET TIME card rack.